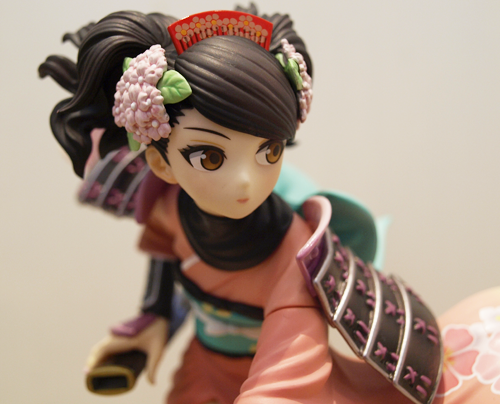 The newest figure I have received is the Samurai girls Senhime (Along with Momohime, but her review will be up later). As she was a gift I’m not entirely sure of her pricing these days, but I have seen it range from £65-£90 or around that area. Samurai Girls was a popular manga I believe, correct me if I’m wrong. It has recently become an anime series, though as far as I’m aware only the first episode has been made so far. I don’t know much about it, having only watched the first ep, but Senhime seems to be very impowered. There are 4 I think in the series of these figures, though if I’m honest Senhime is the only one I like, the others I have seen simply do nothing for me. 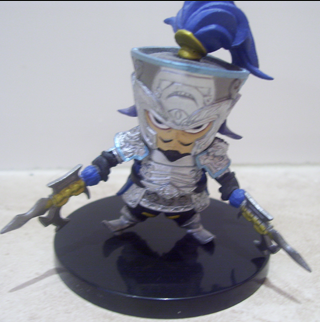 As you can see, the actual figure you receive is very similar to the prototype, so much so that i can’t see much different between the two! 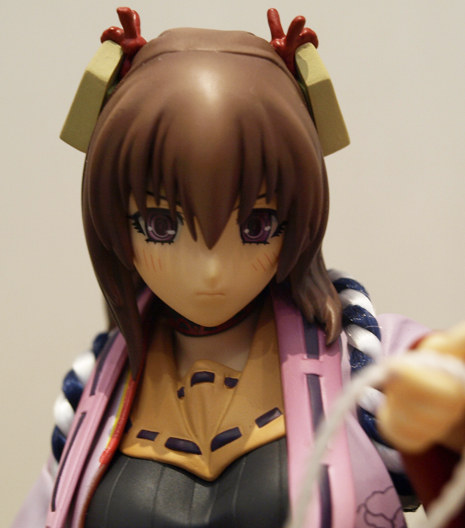 Her face seems to have more definition on the figure itself, and also the colours shown on the prototype seems to be lighter; this is espically present in her hair. 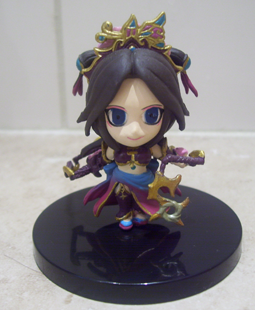 Senhime tends to have an inviting look to her, despite the fact that she has quite a defensive pose and face. 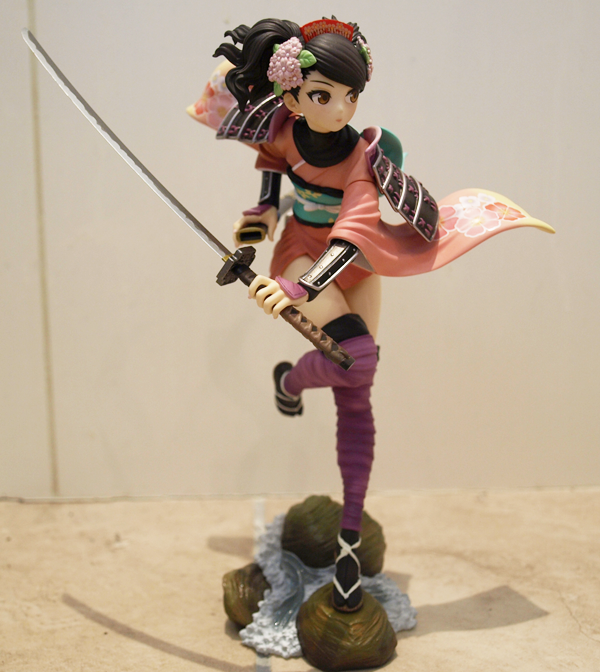 I find her very unique, the detailing on her kimono is flawless and I find this to be the most interesting part of the figure. 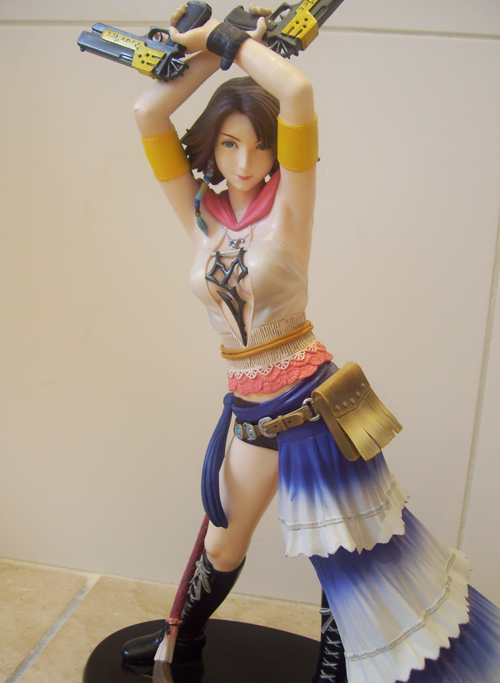 Before getting her I expected the string from her spear to be plastic, however it is an actual string, this gives a nice effect but you will have to be careful to ensure it doesn’t fray. Slipping her spear under her sleeve and into her hand was very easy and smooth, as was slipping her feet onto the stand. 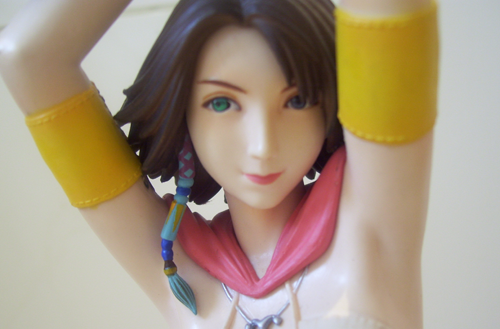 Okay first off, a lot of people are put off this figure due to Senhimes facial expression, and I’m not going to lie I was one of them. Senhime has been out quite a while now, after seeing her for the first time before she was released I didn’t like the expression but over time it has grown on me. I find it to be very unique and actually quite cute, whether its anger or embarrassment she is displaying I’m not to sure, I don’t think many people are. 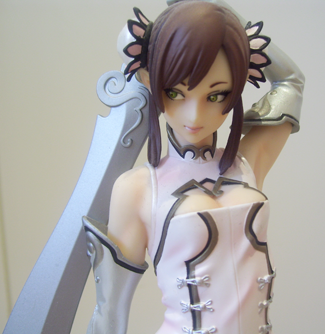 Senhime is a lovely figure, I would say the best of the series. 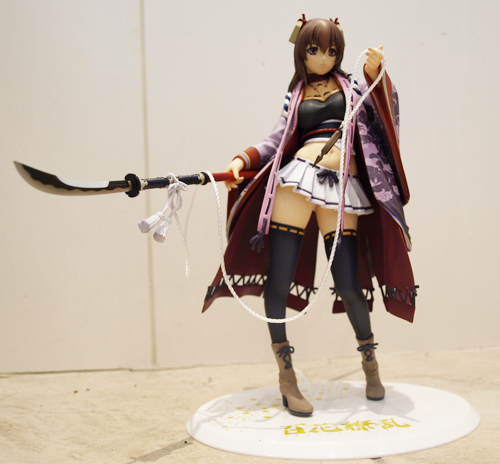 Click here to buy Senhime of at Play-Asia.